constituency extended beyond four assembly seats to 10, the Congress vote share also increased substantially. With the party securing almost double the number of votes over BJP in all 10 segments, Sibal trounced his nearest rival Vijender Gupta by over 2 lakh votes. Gupta's caste and community calculations also failed. His trusted trader votebank in Shalimar Bagh where the turnout was highest at 90,384 disappointed him. Even in areas like Model Town and Shakur Basti, where BJP was expected to do well, the party couldn't garner support. The Vaish and Punjabi voters comprising almost 30% of the voters also seem to have deserted him. BJP workers said internal bickering led to the fall of Gupta in Shalimar Bagh with some councillors openly supporting Sibal. Gupta being a relatively lesser known face and his campaigning lacking focus on development issues are also being cited as reasons for his defeat. He raised school fee hike issue and questioned Sibal's accessibility as an MP. 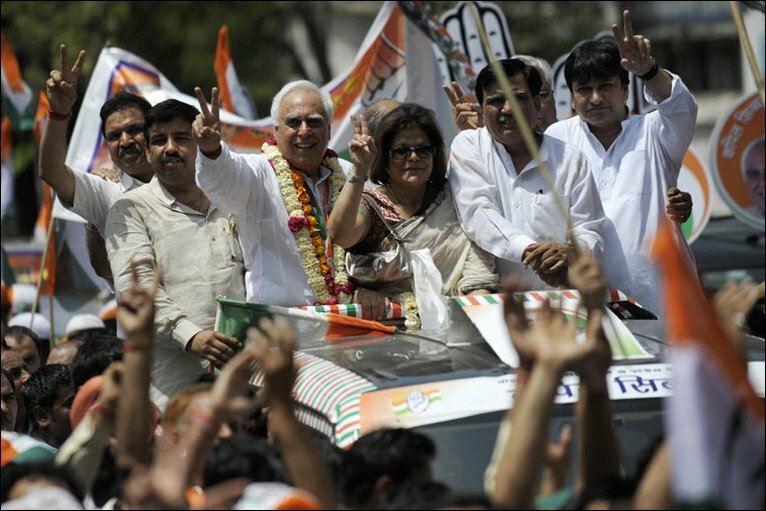 The Muslim vote also seems to have backed Sibal. Despite the low turnout in Muslim dominated constituencies like Matia Mahal, Ballimaran, the margin of Kapil's victory was highest in Matia Mahal 33,057. Meanwhile, BSP candidate Mohd Mustaqeem said he was disappointed, as he got only 26,486 votes. He said: "I had at least expected my Muslim brothers to come out in support of me.'' In fact, Mustaqeem's security money was forfeited as he was not able to get the required number of votes. With a large number of independent candidates here, none were able to get more than 3,000 votes.